If you wish to comprehend why some investors are gradually getting nervous about the entire biotech sector, you need to consider the recent IPO of the Axovant Sciences and have some idea on the recent biotechnology news. 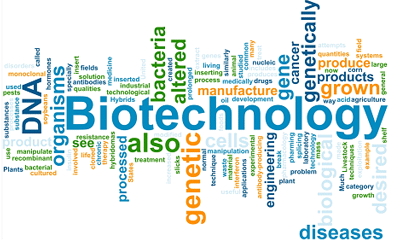 This is a bio-technology company that was founded in October, 2014, it isn’t profitable at all and till now it has accumulated a loss of about $22 million. The CEO of this company has more experience with hedge funds than what he does with biotech startups. Axovant has a single product, an Alzheimer drug that it bought from GlaxoSMithKline after it was tested on 1250 patients in about 14 trials. Then this medicine was stalled to develop for more uses. A few weeks ago, according to a recent survey, it was seen that Axovan went public in an offering and they raised about $415 million. Axovant paid $5 million for this particular Alzheimer’s drug and now it is of the opinion that it needs the cash because it will need to pay Glaxo as much as $160 million if this drug made it to the market. To their utter surprise, the stocks of this company doubled on the very first day to $41 a share and had then falled by nearly third of the peak value of the same. One of the 129 biotech companies that have gone public since 2014, very few are as speculative as Axovant. Although there are many that have recently went public with some huge losses that were incurred by heavy spending on the drug development that may or may not get approved in the United States of America and among some foreign regulators. Even those that did would become so specialized in the respective diseases that they would have chances of becoming blockbusters. Is the party in the biotech stock market over? If it is, then most of the investors seem to not have got the message. If you’re aware of the science recent news, S&P 500 Biotech Index has almost tripled in the last three years and the index has stalled sideway for the past spring. This led some people to wonder whether the rally was actually spent. The extreme volatility of the small and medium-sized biotech stocks means that they will sharply fall when the correction comes, irrespective of the fact whether the drugs work or not. In a nutshell, as per recent science news, the longer time this biotech rally remains, the more vital it becomes to choose the winners from the losers.